Last weekend I ventured out to visit some display homes. I must say it has been a long time since I have been into a display home. And while I was not very impressed with the facades of the houses, I was very taken with their interiors. Great ideas and inspiration here! I must go through a display home soon-I haven't seen one in years! Some of the ones I've seen have no personality-that one looks to have a warm feel. 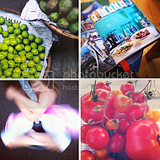 lovely images and lovely blog...glad I found you! I work in a display home & its lovely, I think what makes them more beautiful is that no one ever messes them up, my daughters craft isn't every where, LOL!!! Really a beautiful house ! the interiors are done in an excellent manner. WOW. Really I love this house. At the first glance, it can be seen that a professional has done this interior designing. I am also aware of a website which specializes in property styling. Those professionals deals in styling your property which includes the interior interior designing. They ensure to enhance the value of your property and made it ready for you to get it sell at your desired price. I am linking that website, if you want to add some more beauty to the decor of your house, then you must visit that website once. Display homes are a great source for gathering inspiration. My wife and I are going to be visiting some soon. I am building my own home soon. I want to make sure It is exactly what I want. I also want to know what type of decorating style I like.